Here at Ping we are all very excited for the Worcestershire Apprentice Awards 2017 ceremony being held at West Midlands Safari Park on 16th November 2017 at 6.30pm. 30 of Worcestershire’s best apprentices, employers, training providers and schools have been announced as finalists from 10 different categories. The event will also culminate in the two overall awards of Apprenticeship Employer of the Year, sponsored by Yamazaki Mazak UK Ltd and Apprentice of the Year, sponsored by Worcester Bosch Group recognizing outstanding achievement. Ping Marketing has been nominated as a finalist for the Newcomer Apprenticeship Employer of the year, sponsored by The Community Housing Group. Ping started the apprenticeship journey in November last year with George. Being a small business based in the Vale of Evesham, taking on our first ever apprentice was a big commitment, like with any new employee. 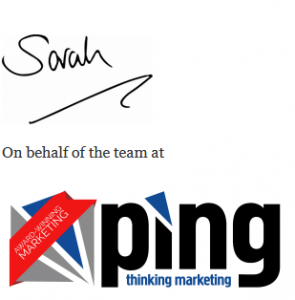 However, George bought his keen interest in marketing, social media and customer service to Ping as well as understanding our clients’ needs and managing various marketing campaigns. George was introduced to us by 3aaa Apprenticeships and quickly became an integral part of our team, allowing us to increase our customer base and even offer some additional services to our clients. We are looking forward to meeting other businesses and their teams on Thursday evening. Good luck to all finalists.